SHOP FOR FREE @ TAMPINES 1?! How about getting PAID to shop at Tampines 1? COME JOIN THE FIRST CASH MOB BY TAMPINES 1! A cash mob is a group of people who assemble at a local business and all buy items from that business. The purpose of these mobs is to support both the local businesses and the overall community. They may also serve a secondary purpose in providing social opportunities. They were inspired by flash mobs. Wanna be part of the cash mob? 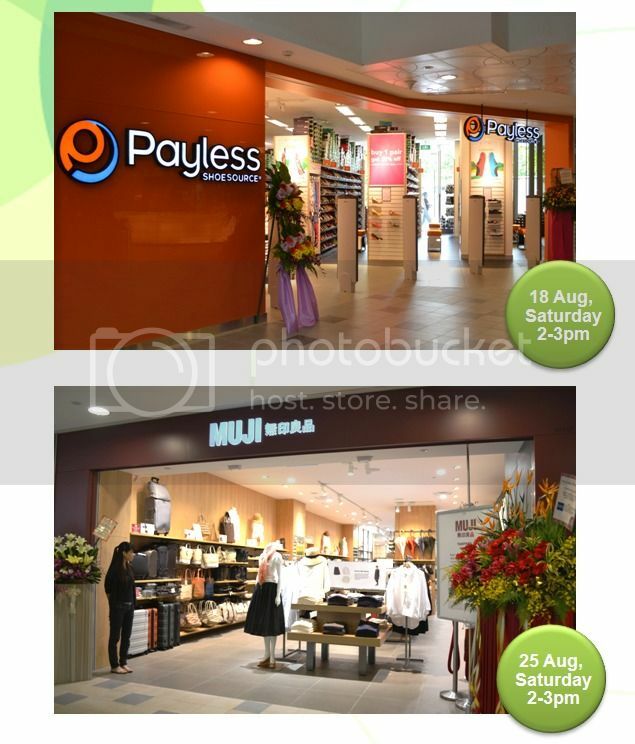 Participants will be given $10 shopping voucher each to spend at the store with no minimum purchase requirement! Email your name, contact number and the name of the store(s) (Payless, MUJI or BOTH!) to tampines1.promo@gmail.com! *Participants must be at least 16 years old and have to be available on the day of event! They need at least 50 participants for each shopping spree, so spread the word to make it happen! If you would like to share the information with your friends, LIKE Tampines 1 Facebook here, and Share the news here!